Susan Gadsby at Greensleeves can offer individual Bridalwear, tailor-made to your exact requirements. With over 20 years experience Susan works from her own patterns providing a made to measure bespoke service for both the wedding gown and bridesmaid dresses. A wedding is a very special occasion, one for which every detail has to be absolutely perfect. Every bride is different, with her own style and taste, and deserves to have a magical gown especially made for her. 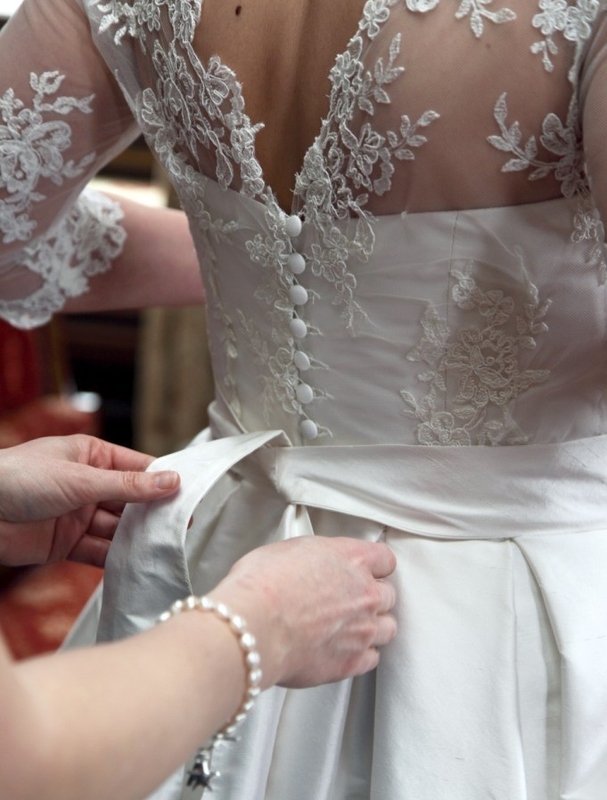 If you are looking for a friendly personal service, Susan Gadsby at Greensleeves can offer individual Bridalwear, tailor-made to your exact requirements. With over 20 years experience Susan works from her own patterns providing a made to measure bespoke service for both the wedding gown and bridesmaid dresses. All dresses are hand finished with a meticulous concern for fit and attention to detail from a vast selection of beautiful fabrics and trimmings. Bridesmaid dresses are available in over 500 colours! Mother of the bride outfits are also catered for, together with waistcoats, cravats and ties. Alterations to a wedding gown already purchased can also be undertaken. Susan would like to invite you to visit her workroom in Evesham to discuss your requirements without obligation. Appointments are very flexible and can be daytime, evening or weekends.